Leila Chatti is a Tunisian-American poet and author of the chapbooks Ebb (New-Generation African Poets Series, forthcoming 2018) and Tunsiya/Amrikiya, the 2017 Editors’ Selection from Bull City Press (forthcoming 2018). 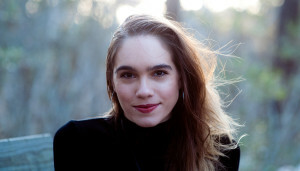 She is the recipient of fellowships and awards from the Fine Arts Work Center in Provincetown, the Tin House Writers’ Workshop, Dickinson House, the Barbara Deming Memorial Fund, and the Wisconsin Institute for Creative Writing, where she is the 2017-2018 Ron Wallace Poetry Fellow. Her poems have appeared in Ploughshares, Tin House, The Georgia Review, Virginia Quarterly Review, New England Review, Narrative, The Rumpus, and elsewhere.